The Lenovo ThinkPad Ultrabook is on the of the finest ultrabook which are available in the market. The Lenovo Thinkpad series is always famous for its performance. The ThinkPad T440s takes its glory ahead by offering long lasting battery life. The Think T440s is operating on the latest Windows 8.1 operating system which runs terrific in this king of hardware configuration. It is available on the Lenovo official website at the cost of $949. The ThinkPad T440s Ultrabook is the thinnest and lightest ThinkPad T series laptop. The innovative roll-cage technology adds extra strength and rigidity to the Lenovo T series notebook shell and top cover (carbon fiber top with magnesium bottom for maximum strength without adding weight). 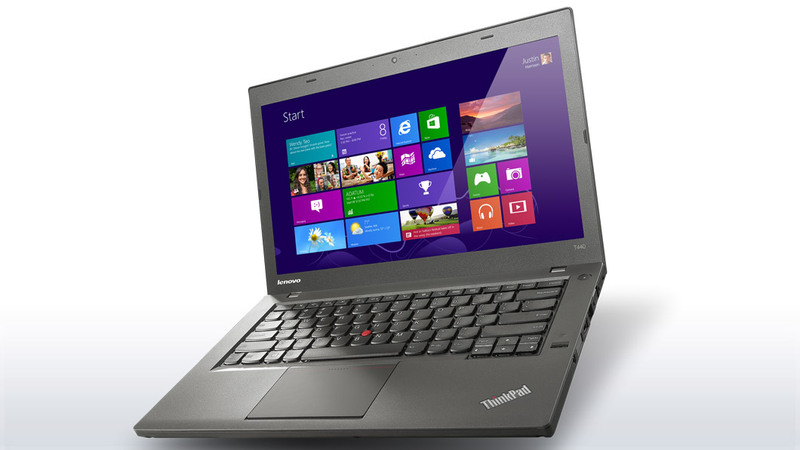 The Lenovo ThinkPad T440s Ultrabook has 14 inch Full HD anti-glare display with high brightness. The IPS technology allows for vivid colors and nearly 180-degree viewing angles. The Laptop is also comes with optional multi-touch, by which you can enjoy the smoothest navigation experience with impeccable response times. The ThinkPad T440s is powered by 4th generation core i5 processor, which has a 2.6 GHz clock speed. The T series Lenovo ThinkPad Intel HD Graphics 4400 with docking connector. The processor is coupled with 6 GB of RAM, which can further expandable up to 12 GB according to the user choice. And for storage this awesome laptop has 1 TB storage with the option of the250 GB SSD (Solid State Drive). The ThinkPad T440s Ultrabook has a 1.3 HD web camera, which able to record the videos at 720p resolution. This laptop has lots of connectivity options such as WI-FI, Bluetooth 4.0 and provides many connectors such as Mini-Display Port with audio, VGA, 3.5 mm Combo Jack Headphone/MIC, USB 3.0, 4-in-1 SD Card Reader (SD/SDHC/SDXC/MMC slot), Smart Card Reader (optional) NOTE: Smart Card Reader not available on models equipped with Micro Hard Drive. This Lenovo Laptop has a huge battery life, after one time full charged it will offer you 17 hours continuous battery backup. One of the best features of this business laptop is the standard configuration of T440s includes (2) 3-cell batteries, one internal and one swappable. Power Bridge allows you to swap the rear battery without powering down your system. This is much needed for long flights or travelers who are away from power sources for an extended period of time.